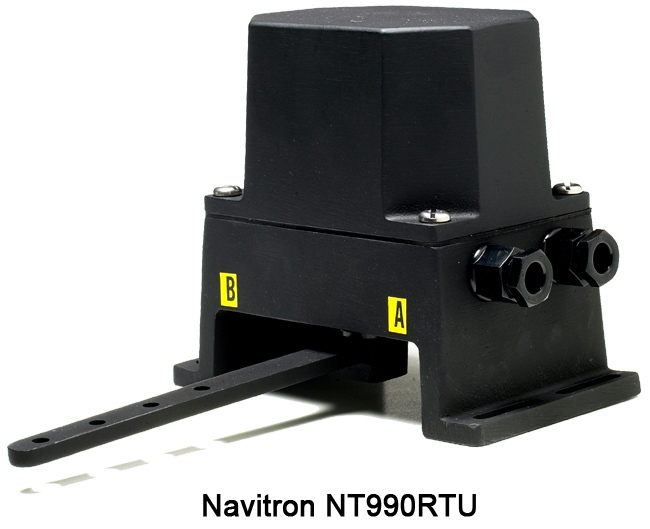 Engineered in Marine grade cast aluminium the NT990RTU is a robust stand alone rudder angle transmission unit which provides two isolated digital outputs and one non isolated analogue output for use by proprietary navigation computers and/or monitoring devices such as VDR/SVDR etc. Suitable for direct connection to 11-40Vdc ships supply, the NT990RTU incorporates a high quality voltage regulated conductive plastic potentiometer and processor intelligent encoding to provide dual isolated NMEA outputs ($YXRSA sentence) with installation selectable 1Hz or 10Hz update and 4800 or 38,400 baud rates as required. When mechanically coupled to the rudder stock / tiller arm, accurate rudder angle data is continuously transmitted to the receiving device. Built in error management ensures that the NT990RTU detects illogical / fault conditions with resultant 'Invalid Data' transmissions if appropriate.